The Society was offered the use of the engine shed at Didcot that had become redundant. The Society moved in the engine shed at Didcot with just 3 GWR locomotives and a some carriages in 1967. Its is now the Didcot Railway Centre with the best collection of GWR engines and rolling stock in the UK. 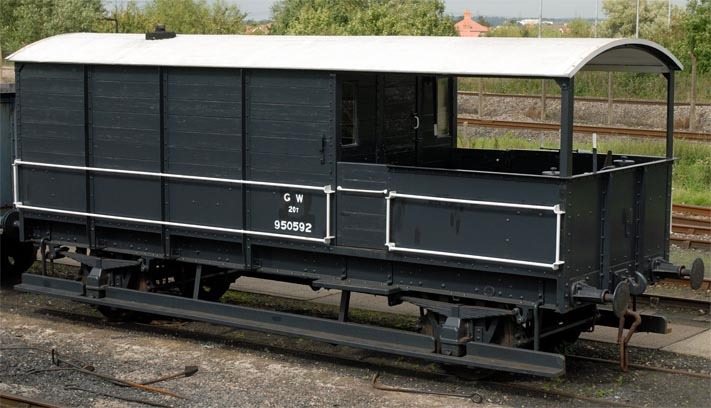 This Toad Brake van is one of around 50 railway wagons most of which were built by the great Western Railway or the British Railways Western Region that have been saved at the Didcot Railway Centre that is next to the Didcot mainline railway station.